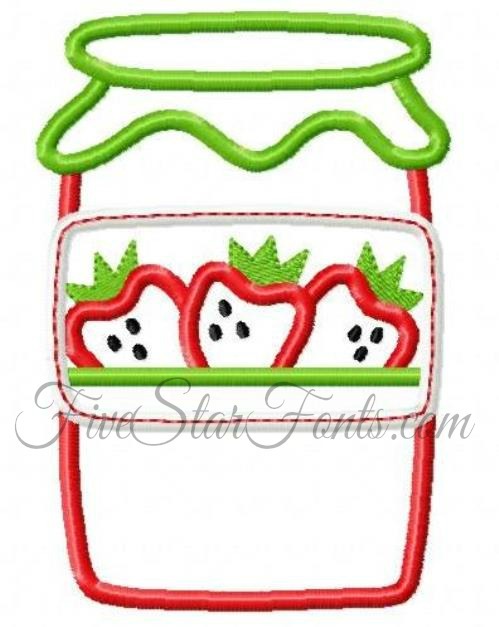 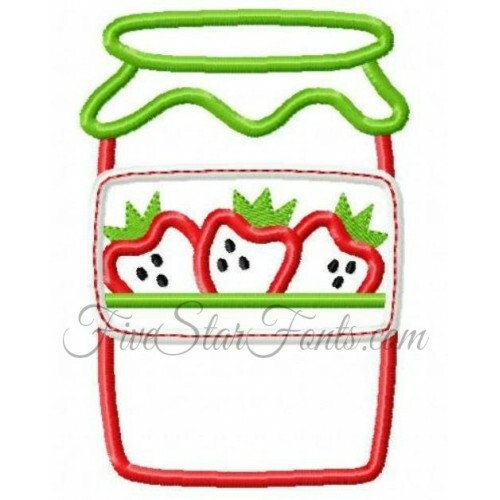 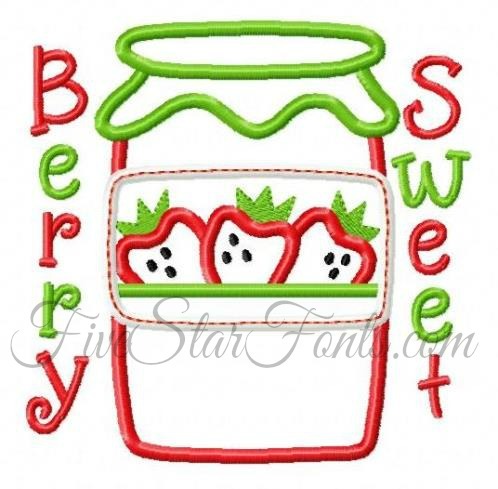 You receive the design with Berry Sweey plus you receive the design of the Jam alone so you can add a name or your own sweet saying. 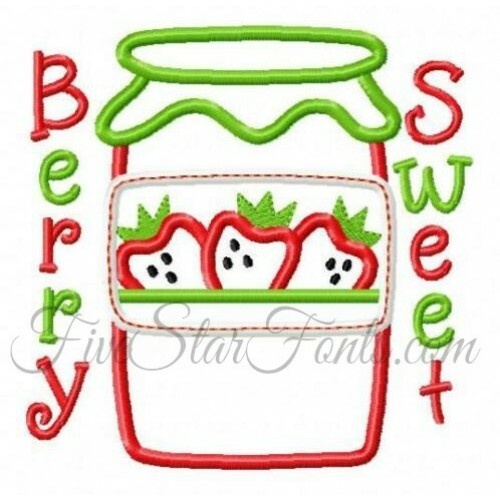 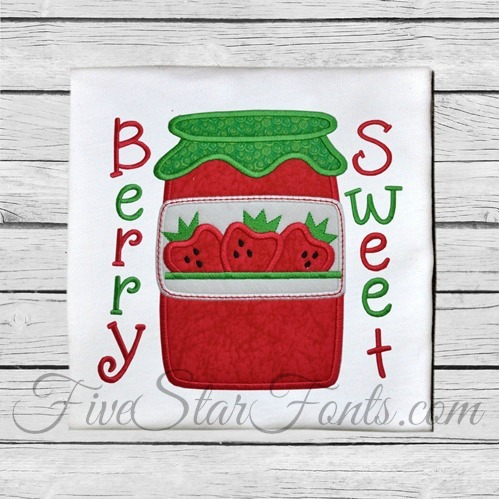 We used our Krazy Cat Embroidery Font for the Berry Sweet words. 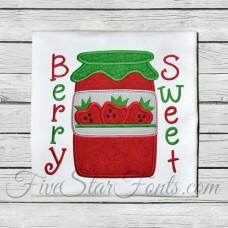 The link to the complete font can be found in 'Related Products' tab above.